Posted April 27, 2015 by Tobias Forrest & filed under Episodes. After Arya’s induction in to the House of Black and White last week, the third episode of Game of Thrones’ new season saw Arya adjusting to her new life as well as the next step in Littlefinger’s ingenious plan to forge a new alliance and the return of a particularly dour Jorah Mormont. Littlefinger, played with relish this week, has always been a man who revels in his dance between light and dark but his latest scheme must surely be his most dastardly yet. ‘You’re not marrying Roose Bolton. No, you’ll be marrying his son and heir, Ramsay,’ revealed Littlefinger as they journeyed towards Sansa’s former home at Winterfell. After everything Sansa has been through in the last few years, the last thing the girl deserves is to be married off to the psychopathic Ramsay Bolton, whose father, as we’ve been reminded on two occasions now this season, killed Robb Stark. 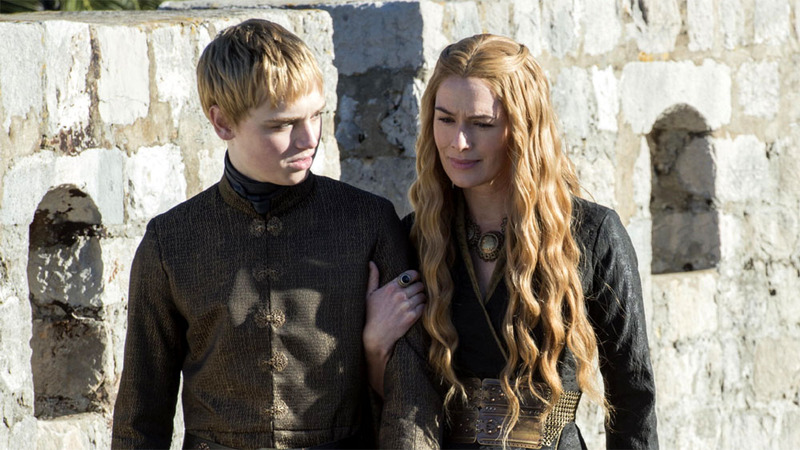 An exceptionally bitter Cersei was forced to watch her precious son, King Tommen marry Margaery Tyrell. After the events of the ‘Purple Wedding,’ Cersei must surely be grateful that Tommen escaped the ceremony with his life and perhaps Margaery has found herself a husband with a better life expectancy than Renly and Joffrey. One thing is for certain: the meek and mild King Tommen is going to find himself right in the centre of Margaery and Cersei’s battle for dominance over the man in their lives. As they lay in bed together, Margaery’s words: ‘I want to know all there is to know about King Tommen, first of his name,’ should be enough for Tommen to realise his new wife intends to keep him entirely under her thumb. 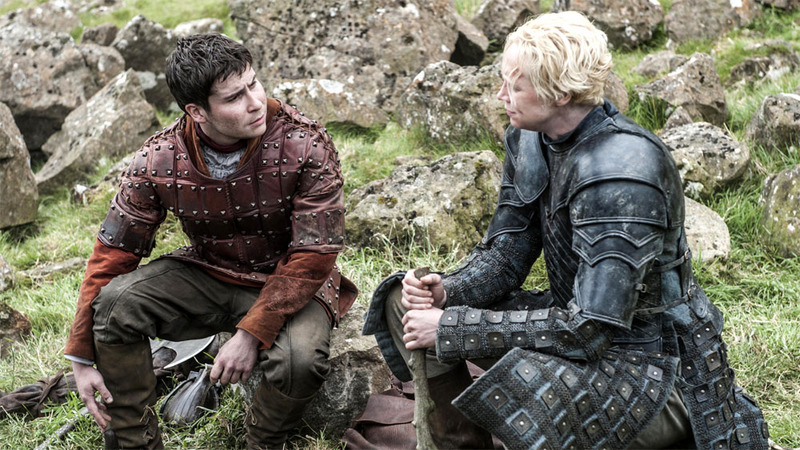 Elsewhere, the mysterious Sparrow gang (including Lancel Lannister), attacked the High Septon and led to the irate priest demanding that Cersei have their leader executed. Of course, Cersei has never been one to listen to commands and she had other ideas upon meeting the High Sparrow. Ever since Tyrion banished him to the Night’s Watch in Season 2 for slaughtering babies, Janos has had it coming and we cheered this week as Jon deftly removed Janos’ head with a single swing of his sword. Even after Jon refused his offer to legitimise him, Stannis watched the execution unfold with a hint of respect shining in his permanently grumpy face. It was, perhaps, a form of cruelty on the part of the writers this week as we were made to wait until the very last five minutes for any sign of Tyrion and Varys. Unfortunately it looks as if this great double-act has come to an abrupt end as Tyrion was captured by Jorah Mormont with the threat ’I’m taking you to the Queen’ ringing in his ears. 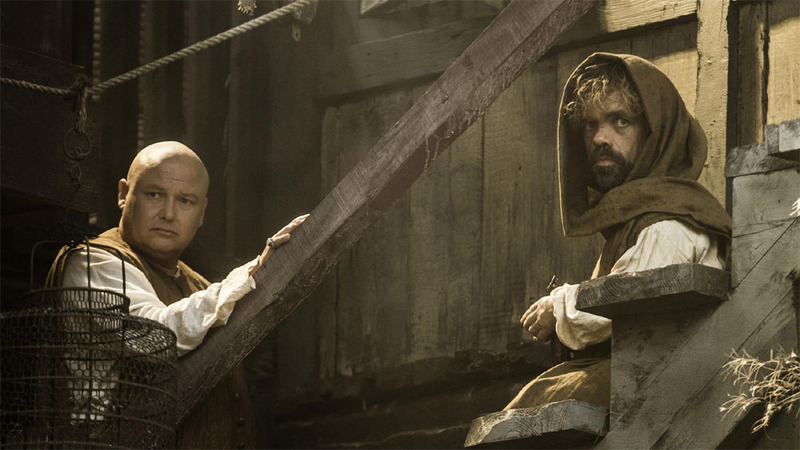 We’re sad to see Tyrion and Varys split up quite so soon as it feels as if it’s been taken away just as we started to enjoy it. After three episodes, Season 5 still feels as if it’s struggling to outgrow the shadow cast by Tywin Lannister and his legacy hangs heavily over the show. The scenes in King’s Landing have lacked the spark that Charles Dance’s performances lent them and even Cersei on her own isn’t enough to draw our attention. However, mercifully we were spared the ongoing charade of Daenerys’ crumbling rule in Meereen this week. ‘High Sparrow’ may not be looked upon as the most exciting episode in the show’s history but, if there’s one thing to take away from this week’s episode, it’s the sense that the many plans and schemes are being carefully maneuvered and we can be sure that the game of thrones is far from being all over. Aired at 9pm on Monday 27 April 2015 on Sky Atlantic.